Canadian clarinetist Barbara Hankins and her quartet the Licorice Allsorts Clarinet Quartet (Cathy Erskine, Lynne Milnes and Carla Perrotta) presented a lecture about building audiences and creating educational programming. This presentation was one of the single most practical and worthwhile demonstrations of the entire conference. Hankins and her group played excerpts from programs of their own creation, developed for elementary-aged children. These original “mini music dramas” contained text, poetry, costumes, singing, motions, imagery, and carefully selected musical excerpts delightfully arranged for the quartet. The incredible effort that went in to creating these programs seems overwhelming. My favorite story that the group presented during this lecture was “The Three Musical Pigs and the Wolf.” Connecting with a well-known children’s story, the three little pigs in this version each had a favorite composer: Bach, Mozart, and Beethoven. The quartet performed an excerpt from famous music from each composer whenever each individual pig was referenced in the story (e.g. Rondo Alla Turca, Mozart’s Clarinet Concerto, Beethoven’s Fifth Symphony). The performers sang, used props (piggy ears on headbands, fuzzy brown gloves for the wolf), and encouraged audience participation through hand motions allowing the children to play a part in the drama (students were asked to help by blowing each time they heard the well-known phrase “I’ll huff, and I’ll puff, and I’ll blow your house down”). The performers kept up fast-paced action by incorporating variety in short snippets: playing their instruments, singing, acting, and allowing the audience to participate; no giant chunks of narration allow boredom to creep in for young children with their short attention spans. There is a huge educational push these days for student engagement, and lecturing from the front of the classroom is no longer acceptable. Teachers must plan interactive activities to encourage active participation in learning. This impressive presentation by Barbara Hankins and the Licorice Allsorts Clarinet Quartet should be a model presented to elementary teachers of all subjects, as it incorporates almost every identified learning style: auditory, visual, kinesthetic and linguistic. Ladies, have you thought of publishing/copyrighting your programs? Teachers everywhere would line up to buy a copy! Melissa Bowles Snavely holds degrees in performance and music education from The Peabody Conservatory of Johns Hopkins, Shenandoah Conservatory, and James Madison University. She currently teaches and performs in the Washington DC area. In a short yet informative presentation, Jenny Maclay provided a brief outline of the life of Carl Maria von Weber. Her lecture was dense with information including career highlights, legacy, lesser known history, and professional affiliations. Taking great pains to uncover details and truths about Weber, her curiosity and intrigue led her to a rare find, a living descendant of Weber in her home state of Alabama. The bulk of her research focused on tracking Weber’s lineage as told through Weber’s great-great-great granddaughter, Patricia Grover. Not a musician herself, Grover was thrilled when a member of the music community reached out to her to learn more about her family tree. Offering her resources freely, Maclay and Grover have forged an unlikely friendship that is sure to benefit the community as a whole. Most recently, Grover spoke about an old family trunk filled with generations of memorabilia and history. Maclay hopes to make a visit soon to see the trunk firsthand and examine its contents. Attendees immediately requested she compile her findings in a book in hopes that she finds rare Weber manuscripts and other historical pieces. A large portion of Weber’s history was lost as a result of their immigration from Switzerland. It is Maclay’s belief that in order to better understand the future of the clarinet community, we must better understand our past. Traditions from the past influence our present and future, so it is the obligation of the performer and entrepreneur to make the past relevant to today’s musician. In her presentation, Elizabeth Gorman sought to cover many of the fundamental elements that are needed for a basic understanding of jazz theory and performance. She began with the basic rhythmic concept of swing, with its emphasized, irregular offbeat accents, but she noted that as tempi increase, swing becomes less and less pronounced, so that somewhere around 250 beats per minute, the swing feel tends to disappear. She also noted that Latin styles, such as salsa and samba, along with some fusion styles, tend to emphasize straight eighths as well. Gorman continued by discussing styles of jazz articulations, including styles that are particular to jazz, such as ghosted notes and falls. She then showed how jazz articulations can be used to “bop the top” of a melodic line, bringing out the important notes of a melody, which she even linked to the concept of Schenkerian analysis and structural notes. She spoke briefly about sound concept and vibrato in jazz, emphasizing that playing jazz does not mean playing with a “bad” sound. She suggested that jazz can be approached either from a saxophone-type tonal concept or from modifying a classical clarinet tonal concept. Gorman suggested some methods for beginning to improvise, beginning with listening and transcribing favorite solos and continuing with a basic understanding of common jazz progressions, such as the ii-V-I progression. She suggested using classical excerpts that relate to jazz scales, such as the pentatonic scale featured in the excerpt from Mendelssohn’s “Scottish” Symphony, to begin practicing useful patterns in all keys. She also pointed out similarities in the classical concerti of Weber and Mozart, which, by using the lowered seventh and the raised seventh, actually offer opportunities to practice the scale known to jazz players as the dominant bebop scale (the familiar diatonic major scale with an added flat seventh). She then suggested some practice patterns to assist classical players in learning octatonic patterns, known to jazz players as diminished scales, beginning by emphasizing the diminished seventh chord that structures the scale and then adding in the adjacent half-steps. She went on to suggest different practice strategies to become more flexible with different keys, patterns and rhythms. Gorman delivered her in lecture good spirits, not even becoming distracted when some video difficulties delayed the start of her presentation. This was a valuable introduction to jazz concepts, with some innovative links to classical literature that were especially insightful. This recital of all contemporary music provided a wide variety of styles within the modern medium. Benjamin Lulich of Cal State – Fullerton performed Five Easy Pieces by Bacewicz, which turned out to be not so aptly named. Lulich’s fast tempos provided for a lively interpretation. As a special treat Lulich performed the second movement of Lutoslawski’s Dance Preludes. This charming and recognizable movement was performed with great energy and style. One of the highlights of all the conference performances was the Luxembourg Duo. Sebastien Duguet (clarinet) and Simone Weber (bass clarinet) began their portion of the program with Meeting by Alfred Prinz. From Ms. Weber’s first note, I was struck by her carefully shaped and beautifully refined bass playing. Each note took on special meaning. Sebastien Duguet executed the work’s many dangerously high entrances with grace and perfection. His smooth connections between wide intervals were especially noted in the first movement of Gunther Schuller’s Duo Sonata. Duguet masterfully performed the tricky arpeggiated flourishes of the second movement. Jonathan Russell’s KlezDuo finished this portion of the program, a tasty work more understated than most of his compositions for various clarinet ensembles. The Luxembourg Duo presented this work with great authentic style, yet had a refinement not often heard in the Klezmer setting. The extremely high level of communication demonstrated by this duo throughout the program was thrillingly evident during the last note of their performance — a tremolo that started slow, sped up, and ended perfectly together, with exact synchronization. The performers achieved this feat by facing each other and following the movement of their fingers. Bravo Luxembourg Duo for a spell-binding performance! Dr. Lindsey gave a thoughtful, entertaining, and informative presentation with useful tools for teachers of all student levels. She covered four main areas: clarinet-specific approaches to body mapping, jargon, incorporation of body mapping in teaching, and how to become a licensed Andover Educator (a body mapper). Perhaps the most helpful, Dr. Lindsey discussed the concept of the body map — the brain’s concept of personal physical structure. Injury occurs when the map doesn’t match the anatomical structure. She demonstrated this through audience activities namely locating the Atlas Occiput or AO joint, and through discovering awareness of movement. 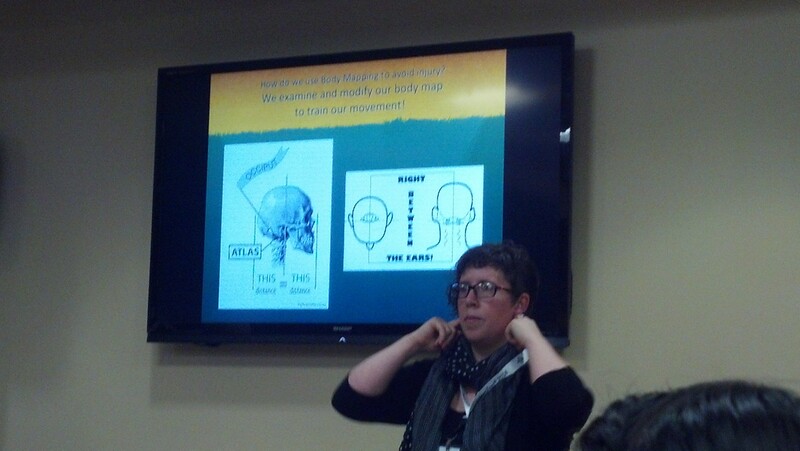 She concluded her lecture with helpful tips on how to incorporate body mapping into teaching. Namely, through enabling fluid finger function (natural curve of hand, movement from the back of the knuckle, and understanding the relation of the finger/hand/arm to the clarinet) through the awareness of the motion of the wrist. She encouraged exploration of the hand position in front and behind of the clarinet, and strongly advocated discovering a relationship, not a place for the fingers. Through discovering a relationship, the musician can better understand and create quality movement. For more information, Dr. Lindsey suggested exploring bodymap.org, and contacting her directly with any further questions. Nora Shaffer, a recent DePaul University graduate (CER ‘14, MM ‘12), is a passionate performer and dedicated teacher in the ChicagoLand area. Additionally, she is Principal and E-flat Clarinetist with the Lake Effect Clarinet Quartet. To open the recital, Mr. Fraioli performed the world premiere of his composition Suggestioni for Clarinet and String Quartet with the Ritz Chamber Players. At times quite jazzy, this piece moved through several different moods such as a lovely unison duet with the clarinet and first violin, a poignant counterpoint duet between clarinet and cello, and a sustained and lyrical clarinet line against constant pizzicati from the quartet. At one point Mr. Fraioli moved so excitedly he almost flew out of his chair! As the piece came to an end, he tore through virtuosic passages embellished with several well-placed smears. A final series of sharply accented chords led the listeners to expect a calculated cadential sequence, but instead, the quartet stopped as Mr. Fraioli held a single note, stood up, and walked off stage. Still playing behind closed doors, his sound faded to niente, a delightful and unexpected conclusion! Next, John P. McCowen’s Clarinet Quartet No. 1 was performed, from memory, by the composer with Mr. Emch, Mr. Fitzgerald, and Mr. Goodman. It opened with barely audible notes moving slowly in and out of the texture, creating a feeling of swimming through a calm, unbroken lake of sound. The quartet began to gingerly add pitch bends and quavering trills. Use of multiphonics created the illusion of electrical interference or feedback, and with an expanded range, dynamic contrast, and harsher, growling timbres the music vacillated in and out of intensity. Eventually calmed, the placid levels suddenly end. Throughout the work, the group stayed as still as possible, adding a visual element to the performance. At the end, and desperate for movement, they quickly bounded out of their seats, breaking the spell created by this intriguing piece. Sam Davies recently completed his first year of DMA study with Dr. 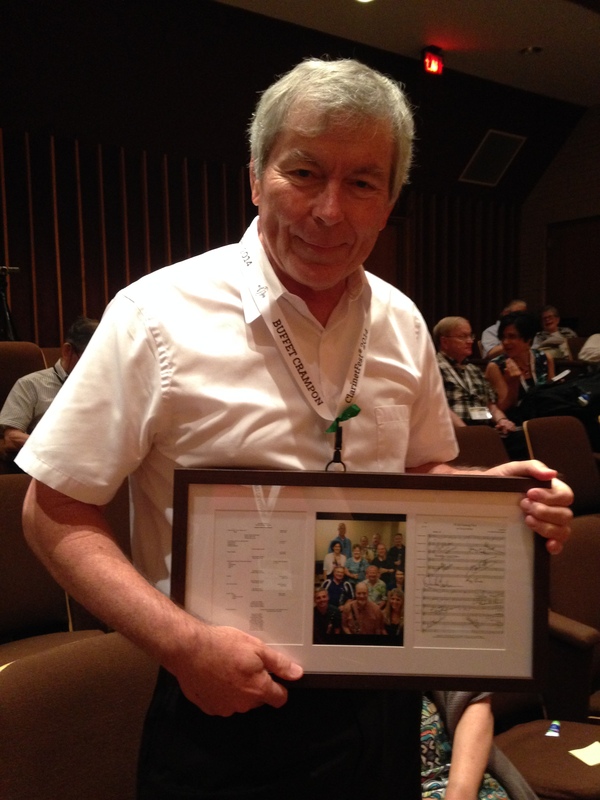 Guy Yehuda at Michigan State University. At MSU Davies can be heard performing with the Wind Symphony, Symphony Orchestra, chamber ensembles, and new student compositions. Former students of Douglas Graham’s performing in his tribute recital. Sunday morning, ClarinetFest was awakened by glorious sounds in the SOM Recital Hall with students of Douglas Graham presenting him with a tribute recital at 8:00 a.m. Graham served as principal clarinetist of the South Carolina Philharmonic and taught at the University of South Carolina. The last movement of the Lalo Piano Trio was performed with LSU pianist Willis Delony. He was joined by Jeremy Cohen (clarinet) and Wendy Cohen (flute). Both played with beautiful depth of tone and a wonderfully expressive dynamic range. Delony played with great integrity and flowing lines. David Gresham’s performance of Karel Husa’s Three Studies showed excellent execution of the clarinet techniques of the 20th century while maintaining lyricism and fun. Gresham took the third movement with a firm resolve! Peregi Verbunk by Weiner was performed by Mark Brandon with Willis Deloney. These performances highlighted one of the strengths of Doug Graham’s teaching: evenness of tone. Seven Deadly Sins by Goodwin for clarinet and marimba provided the audience with some humor at both the melodic features of the piece and the commentary from the composer. The brevity of the final movement brought about a chuckle from many in the audience. 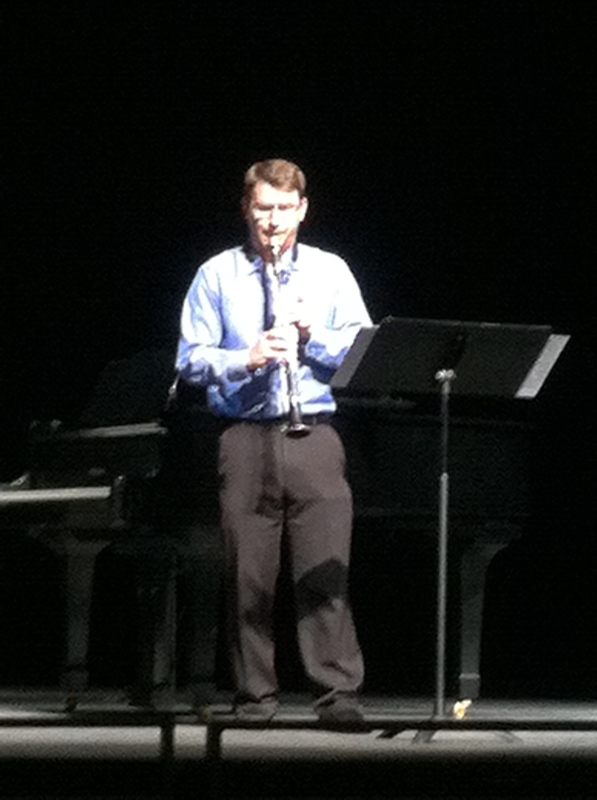 The piece was performed by John Bittle (clarinet) and Matthew Jones (marimba). David Callaway performed Czardas by Monti. This was a fun and entertaining addition to the program, especially for an early Sunday morning. Don’t be that Way was featured next and performed by Gary Buss and Willis Delony. Local audiences always love performances by Delony but this pair was a match made in heaven and allowed both performers to sparkle with a charming and comfortable style. 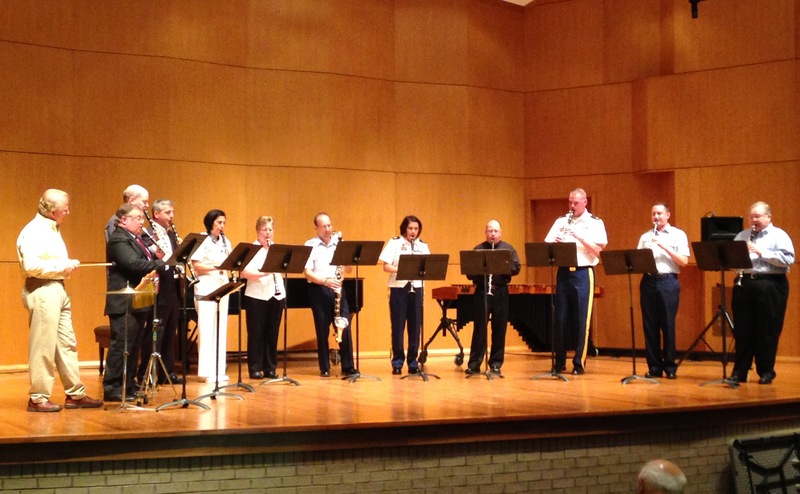 Canonic Suite for 4 B-flat clarinets by Elliott Carter was performed as a mixed service member ensemble. Performers represented the Air Force, Army, and Navy. The ensemble had a strong finish to an absolutely charming piece. Dr. Mary Alice Druhan is the Associate Professor of Clarinet, Texas A&M University-Commerce and a Buffet performing artist.